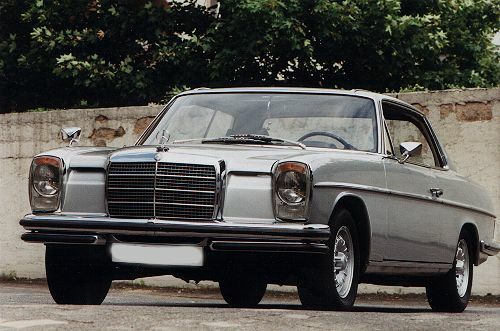 Coupes and Cabrios in "sedan look"
One might think that coupes, convertibles or open touring cars were at all time derivatives from the sedans. Partially that is right. 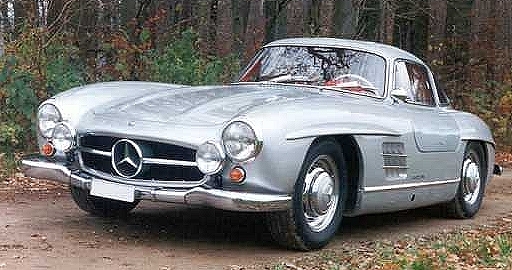 But, as we've learned from the 300SL, the racing and sport cars were another source of creativity for development of roadsters or sport-tourers. 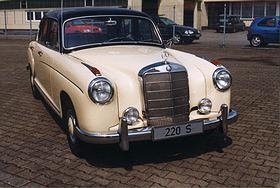 The very first motor vehicles might also be called "cabriolets", applying modern terminology of course. 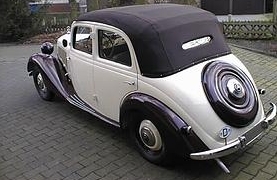 The removable sunroof, making the "cabriolet" a real convertible, was a big progress at that time. And it also was good for a rainy day ! 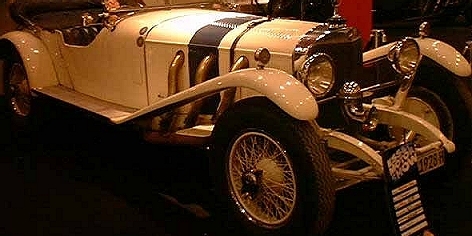 Benz 10, 35 PS, 1925. Grandmother's dream. 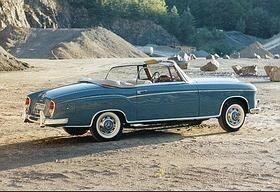 To drive a convertible was and is up to now something like a lasting adventure for the real motor fan. Sporty style and exclusivity are somelike ideally joined in this kind of leisure-time activity. 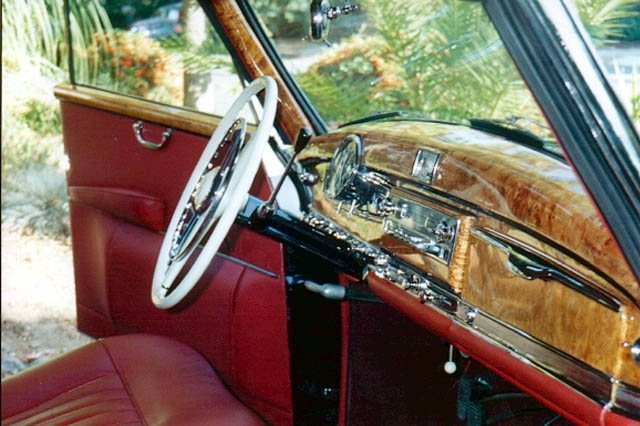 Not to forget "representation", although one might expect that real "representants" must have a chauffeur and don't like the risk of security of an open car after the Kennedy assassination. They fafour the armoured black sedans. "Open or closed", hence, remains an alternative for the "petty bourgeois" of the affluent society. "Open and also closed", so the credo of a convertible sounds. The consequence is (not necessarily but in most cases) "two doors only". 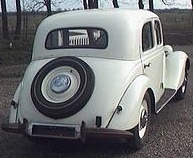 If two doors then why four seats ? We relatively easy ended up with the "SL" ! 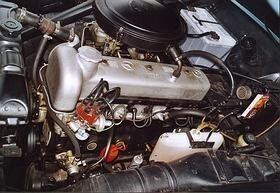 If we sum in addition to it "sporty driving", the demand for a powerful engine seems to be naturally. But max speed in an open car ? 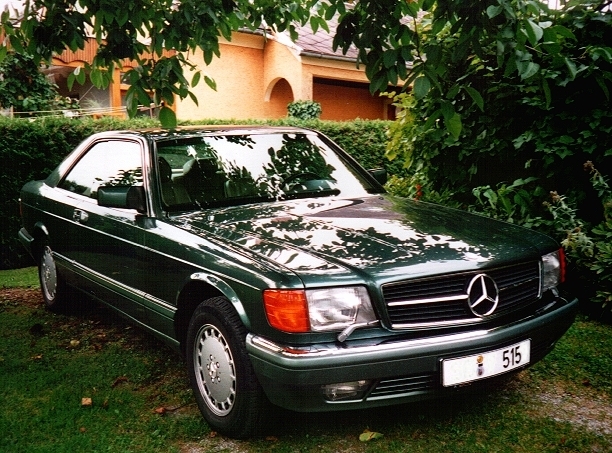 Put a hard-top on, and you have your sport tourer, your "SLC". Max speed you don't want to go having your family with you, right ? So two seats are enough, the more two doors. For the vacation together with all the kids a sedan is better suited. 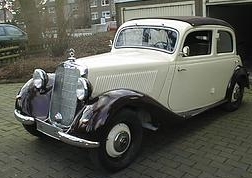 Now God knows what sence makes a 4-seat coupe ? ... 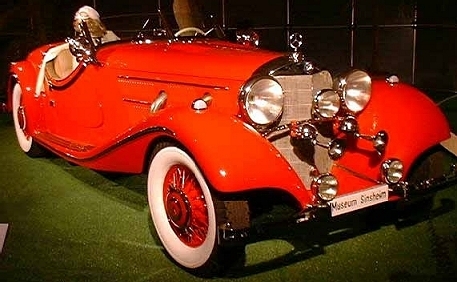 Solely one fact seems to be plausible: You can not afford several cars, you need the "all in one" model to satisfy your tremendous amount of wishes and dreams !!! 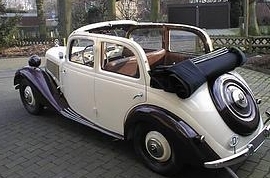 And so it is more than wonderful that one can find such cars all along in the middle-class. Do you feel now what step was done with the SEC in 1981 ? 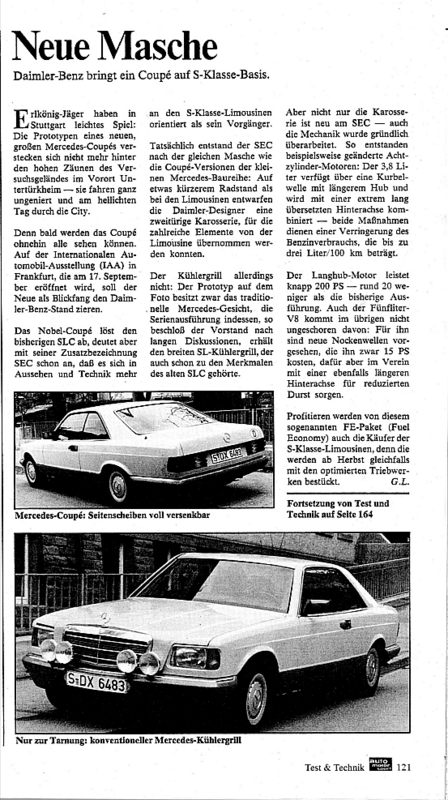 "The elegance of perfect engeneering"
"The shape that gives lasting impression"
"Technical supremacy in sophisticated form"
"Comfort is more than just a luxury"
... a car which expresses the individuality of its owner. That is for sure the true reason why we've chosen an SEC ! 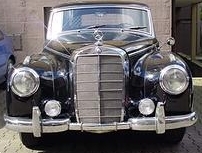 The traditional coupe design, SEC with the front of the limousine (Info from Sebastian Nast). 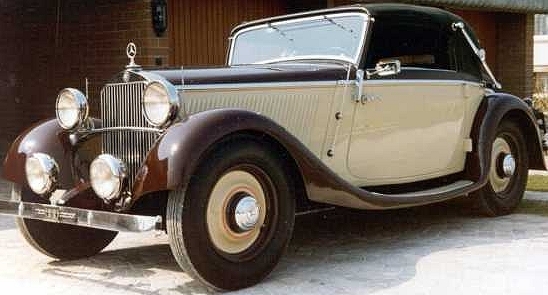 BENNEMANN versus STRAMANN version of an SEC cabriolet. 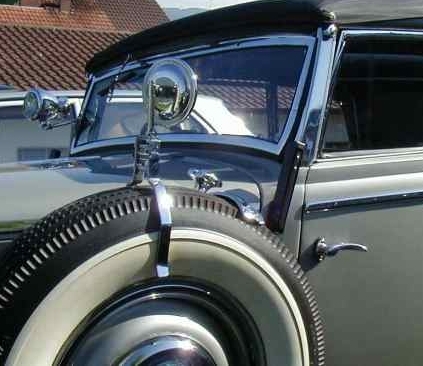 Coupes of the middle class with the frontside of the limousine. "Stroke Eight" 250CE and W123 CE. 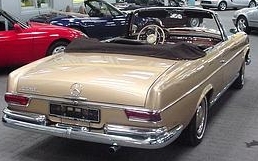 Fintail coupe and cabrio "without fintails"
220SEb coupe and convertible of the upper class W111. 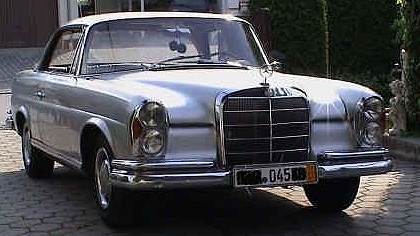 "Bow and stern" of a W111 230S fintail sedan. 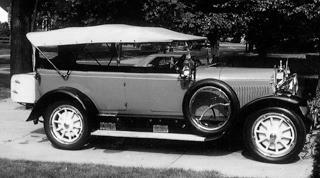 220S "Ponton" sedan and convertible. 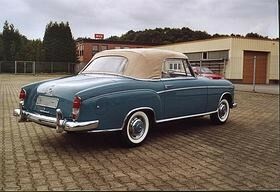 300c/d "Adenauer" and 300S convertible. 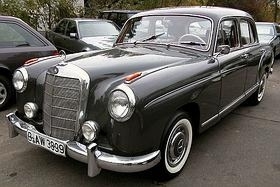 A Grand Mercedes needs a cabriolet but no coupe. One wanted to be seen. 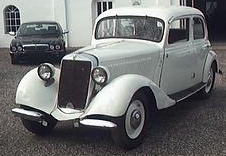 The 170V as sedan and cabrio-limousine. Well suited for the "smaller" family. And what's the summary ? 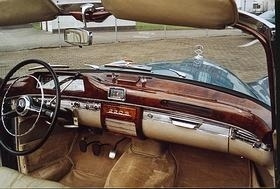 The coupe became to be "in" for representation of an exclusive life style and for satisfaction of individual yearnings. It is the most practical solution. 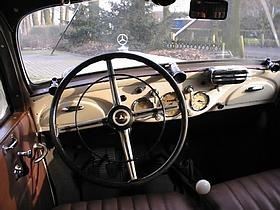 Stretch the SL to win place for four seats in an SLC, remember that the SEb Coupe still belonged to the upper class, keep in mind the level and design of the middle-class coupes and choose a powerful engine ... combine and differentiate ... the result is the SEC with its V8 ! 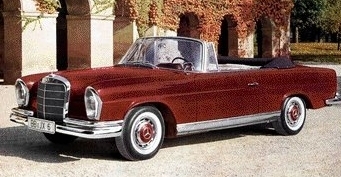 And the "SEC Cabriolet" remained for the tuner.